While most platforms can’t run JVMs, restricting the use of Kotlin to JVM-friendly platforms like Android, JetBrains has made available the Kotlin/Native technology, which makes native binaries for Kotlin code to run without a Java virtual machine. 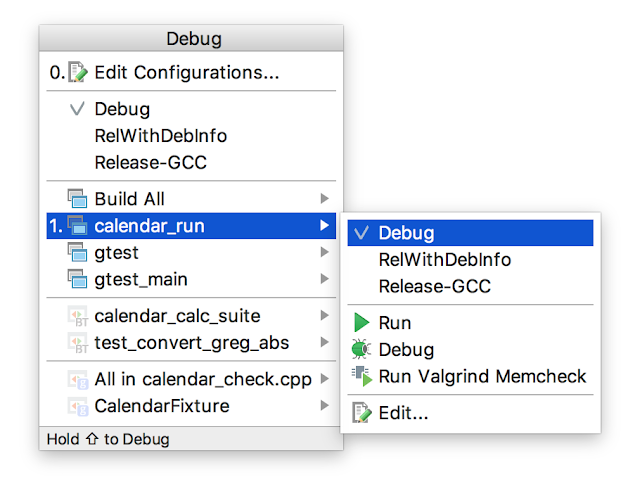 The beta version of the CLion IDE allows compilation of Kotlin programs directly to an executable machine-code format. Albeit, Kotlin/Native uses LLVM compiler technology to generate machine code; with back end, runtime implementation, and native-code-generation facility provided in the CLion IDE beta. Kotlin/Native preview’s supported target platforms include MacOS, iOS, Ubuntu Linux, and Raspberry Pi. And developers can use Kotlin/Native by downloading CLion 2017.3, the beta version JetBrains’s IDE for C and C++ development. Also, they'll need to download two plugins, for Kotlin and Kotlin/Native, from the JetBrains Plugin Repository to add Kotlin and Kotlin/Native support to CLion. The CLion allows to configure and use several toolchains (i.e. CMake, compiler, debugger set) and link them to the appropriate CMake Profile. To use necessary CMake Profile during Running/Debugging your app, simply select necessary CMake Profile in the run configuration switcher on the toolbar.